YAY! I love this freebie! 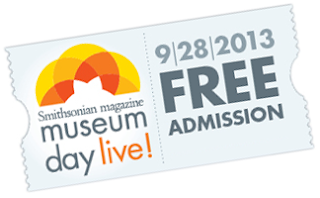 September 28 is It's Museum Day, which you can get FREE 2 Museum Day Admission Tickets. There are many participating museum around the nation. All you have to do is fill out the form, print out the ticket and redeem it at the museum you selected. A list of participating museums can be found here.